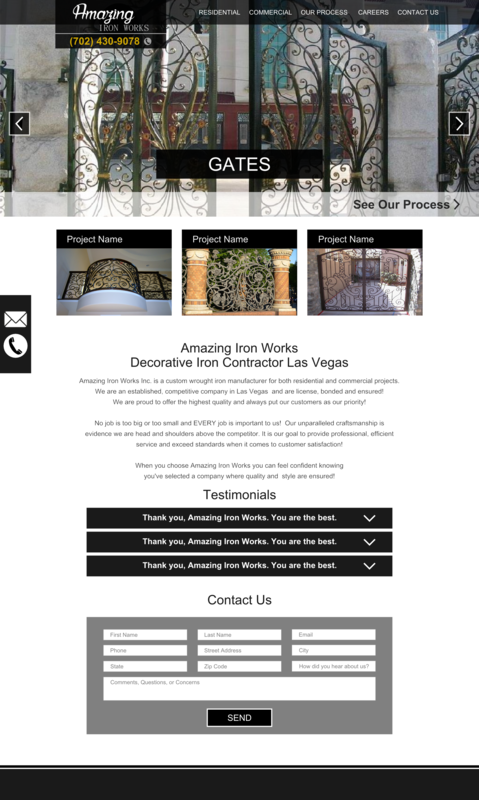 Amazing Iron Works Mockup - 702 Pros Las Vegas web design, web development. Search engine optimization, digital marketing consulting, graphic design, and Branding. Here is your mockup for you website.